As I am fascinated by designers and fashion I also love to pick on the master minds behind, the CEO’s that looking very serious and “All business” they carry the perfect mix of creative mind and manager. Also they are nice!! In the case where a fashion house has the luck of marrying the mentality of the manager and the creativity of the artistic director, results can be fantastic. Look at Louis Vuitton and Dior. I had the opportunity to meet Mr. Toledano the CEO of Dior in school at a conference, there he shared a little of how his job is, how he manages time between briefing the artistic director, overviewing store opening in the four corners of the world, developing strategies with his team and mingling with super stars, it is a fun job to be a CEO, no? Relaxed and cool he made look easy and fun. In any case he has proven to be the perfect king for Dior that every year even after quirky Galliano affairs keeps growing and expanding, now with Raf Simmons on board it may be even a sweeter game really stepping Dior into the new century. 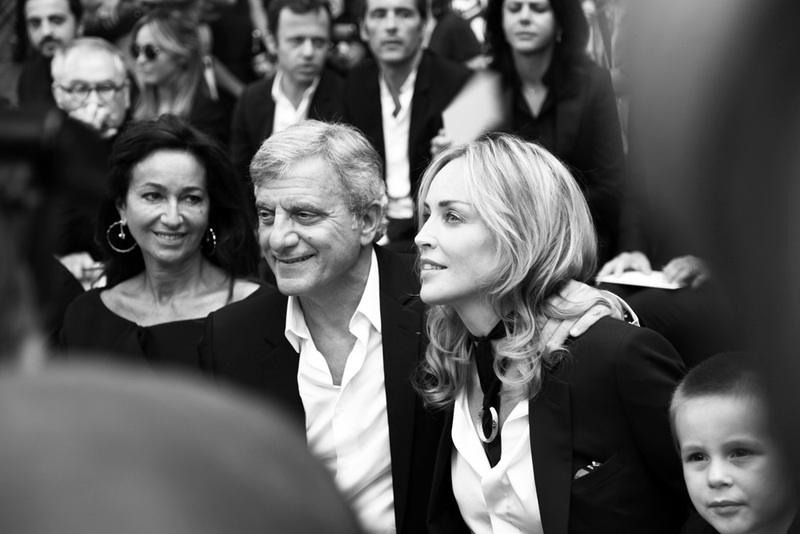 Here he is at the Dior Homme SS 2013 show, having a star moment with Sharon Stone.